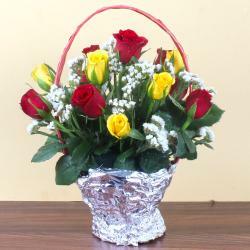 Product Consist : Bouquet of 6 White Liles along with Anniversary Greeting Card. This is a lovely bunch of pretty 6 white lily flowers, which are arranged in a beautiful manner. Tied very nicely, these 6 white lilies will surely please the recipient with its looks and mesmerizing fragrance. 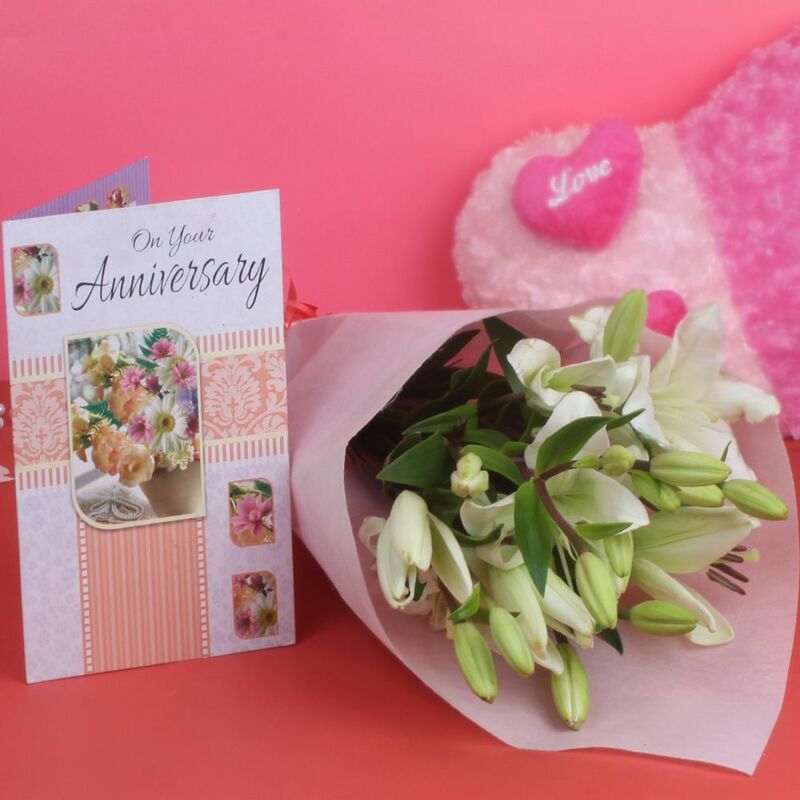 The beautiful bunch of white lilies also adds up to the beauty of the room's decor, it is placed in and Anniversary greeting card is adding elegance to this hamper. 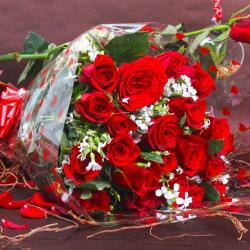 You can buy this lovely white lily bunch at very reasonable and affordable prices by simply logging in Giftacrossindia.com, India's first gift discovery platform. 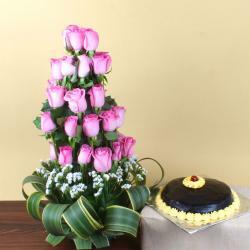 So, make this beautiful bunch of flower yours before it goes out of stock. Order now! 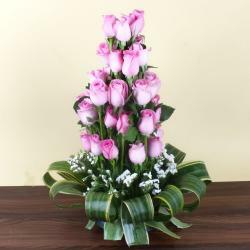 Product Consist: Bouquet of 6 White Liles along with Anniversary Greeting Card.